Deborah Ross-Swain, Ed.D., CCC-SLP is the clinical director and CEO of The Swain Center for Listening, Communicating and learning. 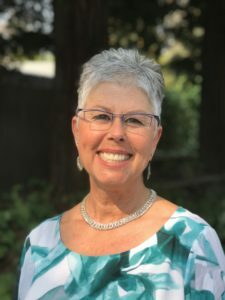 She is the immediate past president of the California Speech-Language-Hearing Association (CSHA) and has served on the CSHA Board of Directors for 10 years. 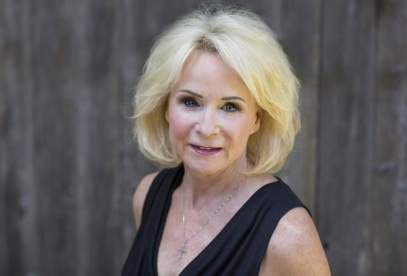 Dr. Swain is the former Chief of Speech-Language Pathology at the University of California, Davis Medical Center and held a clinical staff appointment to the School of Medicine. Dr. Swain has received awards from CSHA including Fellow of the Association, Outstanding Service and Outstanding Achievement and was awarded Outstanding Alumnus in 2016 from California State University, Sacramento. Dr. Swain was honored with the Nancy McKinley Leadership award from the Council of State Association Presidents (CSAP) presented at the annual American Speech-Language-Hearing Association’s annual convention in Boston, MA. Dr. Swain currently serves as chair for CSHA’s Early Intervention and International Committees. 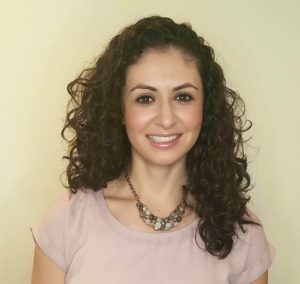 She also served as the project coordinator for a tri-state ASHA grant which produced five videos on Interprofessional Practice and Interprofessional Education for assessment and treatment of ASD, Literacy and Early Intervention as well as SLP Scope of Practice and Audiology Scope of Practice. Dr. Swain has served on ASHA’s Legislative Council, Advisory Committee and is currently serving on the Governmental Relations and Public Policy Board and Perspectives Editorial Review. She is the author of numerous books and standardized test batteries: Auditory Processing Disorders-Third Edition: Assessment, Treatment and Management; The Receptive-Expressive Social Communication Assessment-Elementary; The Auditory Phoneme Sequencing Test; The RIPA series of tests; The Listening Inventory; The Swallowing Ability and Function Test; Aphasia Rehabilitation: An Auditory and Verbal Treatment Hierarchy and The Cognitive-Linguistic Improvement Program. Dr. Swain is an internationally and nationally recognized speaker and author. Michelle lives in Santa Rosa, California with her son and Paws As Loving Support (PALS) facility dogs, “Austin” Powers and Princess “Nadia.” She has worked at the Swain Center since 2001. Michelle’s passion is working with children on the Autism Spectrum. She enjoys teaching Social Skills/Let’s Adapt! classes. In 2010, Michelle became an active volunteer and puppy raiser for PALS. She wanted to team up with an assistance dog to help her out with her job at the Swain Center. Austin and Michelle graduated on September 11, 2011 as an Assistance Dog Facility Dog Team. Nadia and Michelle graduated on October 20, 2012 as an Assistance Dog Facility Dog Team. Both Austin and Nadia currently work at the Swain Center. The kids enjoy seeing and working with the dogs during their therapy sessions. In her free time, Michelle loves to snuggle up on the couch and watch movies. She enjoys scrapbooking, reading, gardening, canning, pickling, hiking and camping. Debbie enjoys sharing time with her family and friends. She has four grandchildren whom she spends as much time as possible with. Debbie and her husband enjoy camping, hiking, walking, gardening and traveling. She enjoys all of the wonders that beautiful Sonoma County has to offer. 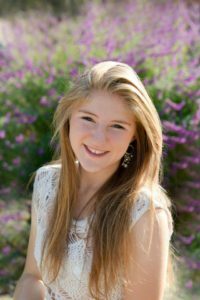 Taylor was born and raised in Sonoma County, and grew up with a love for working with children paired with a passion for singing. 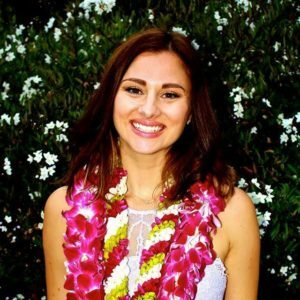 A recent graduate from San Francisco State University, Taylor completed her final internship at The Swain Center in April 2015, and is thrilled to be back and working full time as a Speech-Language Pathologist! 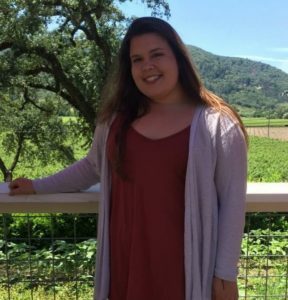 Outside of work, Taylor enjoys spending time with her parents and two younger sisters, obsessing over the San Francisco Giants, and spending time in the sunshine. 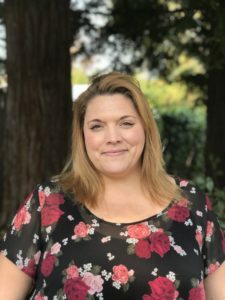 Jennifer was born and raised in Calistoga, California and was thrilled to be able to move back to Napa Valley after college. Ever since she can remember, she has always enjoyed being around children and knew at an early age that working with kids would be in her future. She enjoys spending time with her family, being active and driving along the coast of California. Melissa lives in Sonoma County with her family and dog. She has worked at the Swain Center in numerous capacities – as a student observer and volunteer, a Tiny Talkers and Social Skills aide, and finally, as a Bilingual Speech-Language Pathologist! Melissa loves working with adults and children and thrives on her diverse caseload. In her free time, she loves to garden, cycle, hike, camp and do pretty much anything outdoors in beautiful West County. 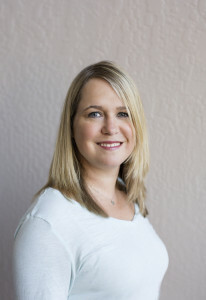 Sarena was born and raised in Sonoma County with a family full of music lovers. Seeking a profession that allowed her to combine her passion for both children and music, she stumbled into the world of Speech Pathology. Throughout school, she took interest in working with young kiddos as well as creating functional, life participation programs for adults. After graduating from California State University, East Bay, she moved back to Santa Rosa and got married to her new husband, TJ. Outside of work, Sarena enjoys kickboxing, watching movies and trying out new recipes. Taylor was born and raised in Santa Rosa, California and moved back to California after spending 5 years in Kansas for school. Ever since Taylor was little she had a passion to help people, she knew that she would work with kids. She enjoys spending her free time with her family, going to the lake, or being with her dog Cooper. Elizabeth lives in Sebastopol, California with her husband Luis. She has worked at the Swain Center since 2013. Elizabeth enjoys working with children, helping them learn and further there abilities across a variety of areas, it is through this work she has learned “life” teachers can come in tiny packages! Helping the Spanish-speaking community has been a lifelong passion which continues here at the center, helping English-Language Learners in the area of speech and language. She also enjoys helping teach social skills and Tiny Talkers classes. In her free time, Elizabeth loves to spend time with her family and friends. She also enjoys dancing, exercising, hiking, camping, and watching movies. 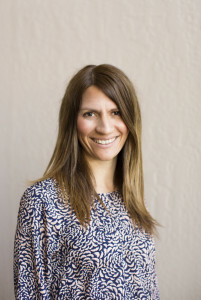 Lindsay currently resides in Santa Rosa with her husband Brian, son Rex, dog Bella and cat Jack. When not working or studying, Lindsay enjoys spending time with friends and family, cooking, sports, snowboarding, and traveling. Katie grew up in Santa Rosa and was very happy to move back to Sonoma County after college. In her free time she enjoys spending time with her wonderful husband and three little boys. Sierra lives and grew up in Santa Rosa California. She has always enjoyed working with kids starting with coaching soccer and working with young girls in girl scouts. 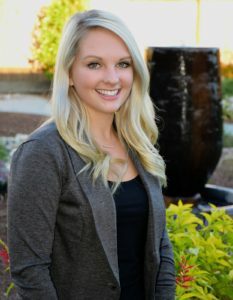 Sierra started her college life at Santa Rosa Junior College and transferred to Sonoma State University after receiving her associates degree. Sierra enjoys anything she can do outdoors being active and hanging out with all her family. Pricila is from Alturas, California. 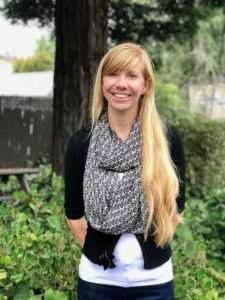 She came to Rohnert Park to study at Sonoma State University where she discovered her passion for working with children with special needs. She is excited to go to gradate school to pursue a career in Speech Language Pathology. 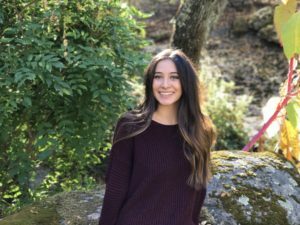 She is involved in several different organizations on campus which have allowed her to give back to the Sonoma County community (JUMP a volunteering organization and KDZ). In her free time she enjoys snowboarding, traveling, and spending time with friends and family. Molly is originally from San Bruno California. 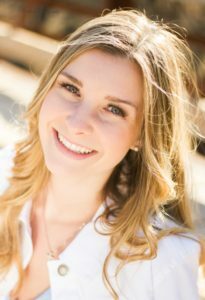 She moved to Rohnert Park in 2015 to attend Sonoma State University. She is involved in campus organizations, which has allowed her to get involved with the community. She has always enjoyed working with children, especially those with special needs. She started working for The Swain Center in January 2017, in the Listening Room. Outside of work she enjoys spending time with friends and family, going to Giant’s games, and adventuring in Sonoma County. 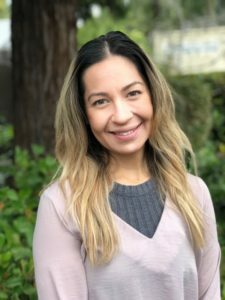 Gina was born and raised in Sonoma, California but has recently moved to Santa Rosa, California. 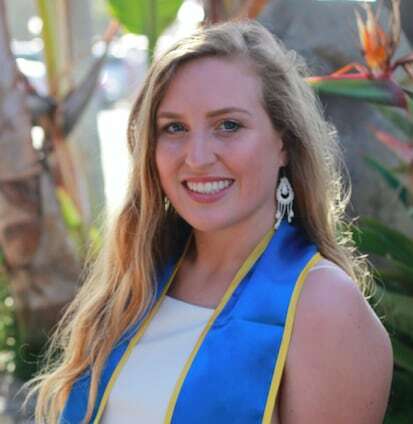 She has always enjoyed working with children, starting with teaching swim lessons and volunteering with various youth education programs during her time at UC Santa Barbara. Outside of work, Gina enjoys surfing, listening to music, traveling, and playing board games with family and friends. 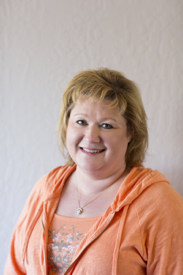 Tami’s has spent over 20 years working as both a bookkeeper and an administrative assistant. She enjoys doing her part to make the operation run smoothly and efficiently. 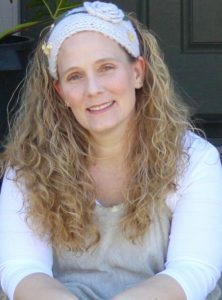 Tami has lived in Santa Rosa, California for most of her life. She loves spending time with her husband, two grown children and two granddaughters. She enjoys cooking, traveling, Disneyland and the SF Giants. She has been part of the Swain Center team since 2012. Marie lives in Santa Rosa, California with her husband and teenage son & daughter. She joined the Swain Center in November of 2016. Marie and her family are HUGE SF giants, 49er and Warrior fans, and always enjoy watching the games together. Marie has lived in beautiful Sonoma County for over 30 years. Marie enjoys wine tasting, outdoor activities and spending time with her family and friends.